Ship your luggage to and from Belgium with My Baggage. 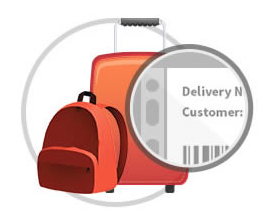 Quick, convenient and lowcost overseas student shipping. Students who decide to go international and study in a nation that offers a new and different cultural experience, are in for some life changing opportunities. Belgium is one such country, with deep rooted history and distinct cultural flares. Travelling there to study or work abroad can open up all sorts of doors and is something that may stand to you in a positive sense for the rest of your life. If you’re travelling to or from Belgium to study, work or even just travel, My Baggage can help. We’ll deliver your luggage to or from anywhere in Belgium quickly, safely and conveniently – removing the stress of transporting baggage, so you can enjoy your journey to one of the most fascinating countries in Europe. Belgium is an outstandingly beautiful country, with a multitude of museums, historic battlegrounds and famed sites that will impress and inspire any history buff. And, with three official languages spoken in Belgium, (French, German and Dutch), it’s also a fantastic destination for language students who want to refine their skills and flex their linguistic muscles. Conventional means of transporting your luggage to and from Belgium can be quite an irritation. With weight allowances, pickups, checkouts and transfers to consider, transporting your luggage with an airline is inconvenient, never mind expensive. That’s why we make things easy with our Student Shipping to Belgium. My Baggage exists for the sole reason of making student life a lot easier. Instead of the aforementioned nightmare, students simply let us do the work and we perform all the tasks involved usually in student shipping from Belgium. We offer a low cost, high quality solution as experts in the area and offer student shipping to and from Belgium and a wide range of International destinations. It’s simple, it’s easy and it eradicates stress and ensures your belongings show up safe and sound quickly and as you left them. Student shipping to and from Belgium is now as simple as a door to door collection service and it doesn’t cost the world – far from it in fact. In addition, we provide a 30kg allowance for each item you send and deliver them to all door-to-door to any UK or Belgian town or city. This all means you can now focus on your excellent overseas experience and all the thrills and enjoyment that go with it without worrying about your bags or belongings. Our experts who have for years provided student shipping from Belgium will take care of all the issues and you just worry about unpacking. So, why not get a quick quote now?